Facials provide a relaxing way to get firmer, brighter skin and help you look your best. Regular facials can also help you fight the signs of aging. At EVO Aesthetic Center and Wellness Spa in Lakeway, Texas the team of experts offer a variety of facials to help you look younger and more vibrant. To learn more, call or book an appointment online today. Facials provide a relaxing way to improve the look of your skin while also relieving stress. They use a mix of cleansers, moisturizers, exfoliators, and other products to hydrate and rejuvenate your skin. Often used to fight the signs of aging and leave your skin looking young and firm, facials can also help fight acne and other skin problems. During an initial consultation, your aesthetic professional will help you determine the specific products and service to include in your facial. At EVO Aesthetic Center and Wellness Spa, you can feel confident you’ll always get the best products for you based on your skin type and goals. What conditions can a facial improve? Most everyone can get a facial, and it's a relaxing, easy way to keep your skin looking its best. What should you expect during your first facial? Before your facial, you’ll meet with your aesthetician for a consultation. Here, you’ll discuss your skin concerns and what you want to accomplish with your facial. They will also evaluate your skin to determine the best treatment options and products for you. During the treatment, your EVO practitioner first cleanses your face to remove any makeup, residue, or lingering skin care products. Then, they will use steam to soften your skin and apply an exfoliant. This prepares you for extractions, in which blackheads and whiteheads are removed. Finally, you’ll receive a relaxing facial massage and mask, and your aesthetician will provide your final application of skin care products. A relaxing method of rehydrating and rejuvenating your skin, facials are a popular way to keep your skin looking its best. 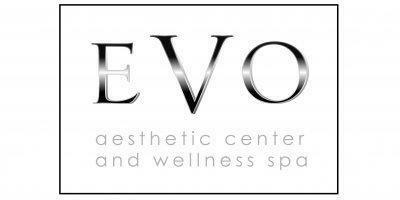 Call EVO Aesthetic Center and Wellness Spa to schedule your facial or book your appointment online today.